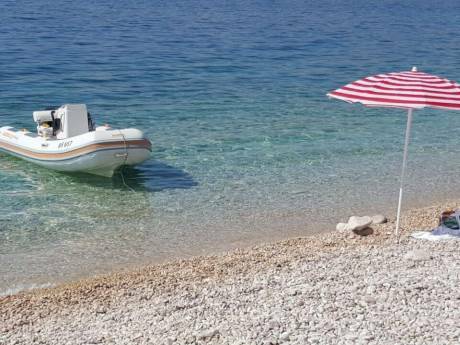 Apartment is located on island of Mali Losinj, in the center of Veli Losinj old town, only 5 minutes walk to the nearby beach, shops, restaurants and the main town square, but yet it is situated in quiet neighborhood. The apartment contains 1 bedroom, together with the kitchen + small extra room with 2 beds (bunkbed), bathroom, and terrace where is also a gas grill. Apartment features fully equipped kitchen and is air-conditioned. This apartment accommodates 4 persons- 2 persons in the bedroom and 2 person in the small room. It is only 5 minutes drive to any of the surrounding beaches! 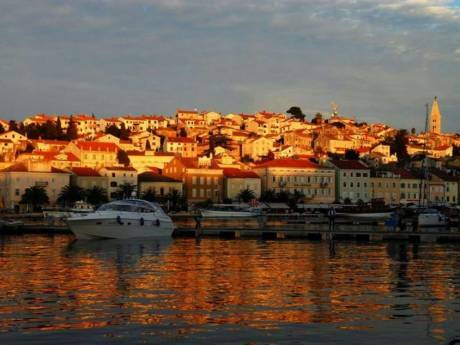 Town of Mali Losinj is 3 km away from the apartment and it's located in the Augusta bay, on the island of Losinj, the biggest naturally protected bay on these islands. It's beginnings date back to 12th Century, when twelve Croatian families came to the island and formed a settlement in the bay of St. Martin. The first settlers were farmers who later on turned to fishing, showed interest in maritime business and shipbuilding. Gradually the settlement moved to the actual Mali Lo¨inj harbor. The golden years of Mali Lo¨inj were in 19th century thanks to the sea and shipbuilding. But once the positive effect of Lo¨inj's mild climate on people's health was discovered, it turned Mali Losinj to new industry of tourism, and the new period in Lo¨inj's history began. 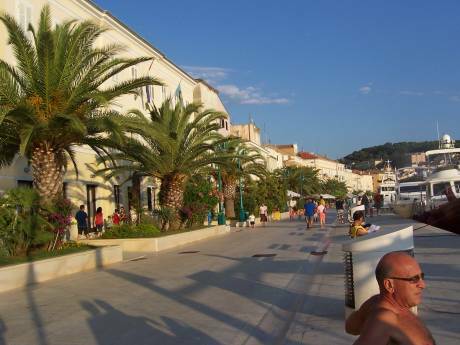 Today Mali Lo¨inj is one of the main tourist resorts in the Adriatic, famous and recognized all over Europe by tourists who keep on visiting it again and again. Among all the Adriatic islands Krk, Cres and Lo¨inj hold the greatest variety of plants, about 1500 species. Most of these plants are rare species which grow in limited numbers only here and nowhere else in the world. The island of Lo¨inj is covered in pine trees spreading down to the sea. The waters of Lo¨inj are famous for dolphins. More than 150 of them have been identified and each of them has been given a name. Scientist of the Adriatic project 'Dolphin' have been intensively caring for dolphins and studying their behavior.This dolphin research is one of the oldest in the Mediterranean. The dolphins can survive only in clean sea environment and it is hoped that the public will continue their good work to protect clean waters of Losinj archipelago. Losinj has mild Mediterranean climate. The average summer air temperature is 24'C and the average winter temperature 7'C. The winter sea temperature never falls below 12'C and in summer it is no higher than 27'C. Having about 2,580 hours of sun, Lo¨inj is one of the sunniest places in Europe. Its climate is most favorable for the treatment of the bronchial asthma and respiratory allergic diseases.